Whyte & Mackay aim to make this a “Vintage” year 1970. Whyte & Mackay’s special Scotch whisky will be available in an attractively designed “Vintage Car” gift carton from November 1st 1970. For a limited period customers will receive part of their orders in gift cartons at no extra charge. Thereafter there will be a nominal charge, but this will add only a fraction to the cost. Sixteen different vintage car models, the oldest being an 1897 Daimler, make up the design of this unique carton. Mr John Ligertwood, sales director, said the design of the carton had been chosen because of the general interest in vintage motor cars. “Vintage car enthusiasts are numerous, and include our chairman, Major Hartley Whyte,” he added. Supplies of the gift cartons can be obtained flat ready for packing existing stocks. Mr. Alex Laing, formerly with Sandfman and Sons Ltd., has joined the sales force of Whyte and MacKay Ltd., as their representative in the central and north Glasgow area. 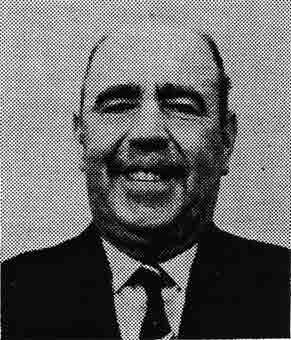 Mr Laing has been a well-known figure in the licensed trade for the past 32 years, having spent 18 years with Tennent Caledonian, five years with Samuel Dow and Co., and five years with Ronald Morrison and Co., of Edinburgh.